Presenting the Gucci Spring/Summer 2019 Bag Collection. Gucci introduces their latest design which is the Zumi. This bag first appeared in the runway.. Introducing the Gucci Fall/Winter 2019 Runway Bag Collection. Gucci presented Men’s and Women’s Collection at the Milan Fashion Week. The brand’s latest collection.. Introducing the Gucci Pre-Fall 2019 Bag Collection. 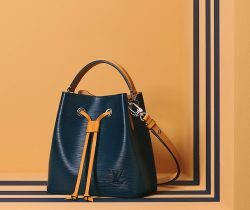 Almost every bag in the collection features the iconic interlocking GG logo, except for the Rajah..
Aside from Louis Vuitton and Mulberry, Gucci is another luxury brand that is releasing a capsule collection for Chinese New Year 2019. The special..
Gucci is not slowing down anytime soon. The Italian brand has remained as one of the top luxury brands, since Creative Director Alessandro..